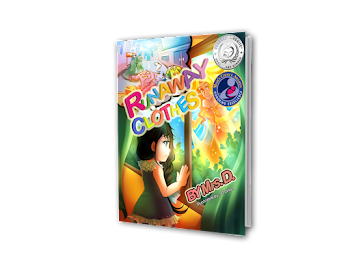 Available in print (hard and soft covers) and as ebook on Amazon and B&N. 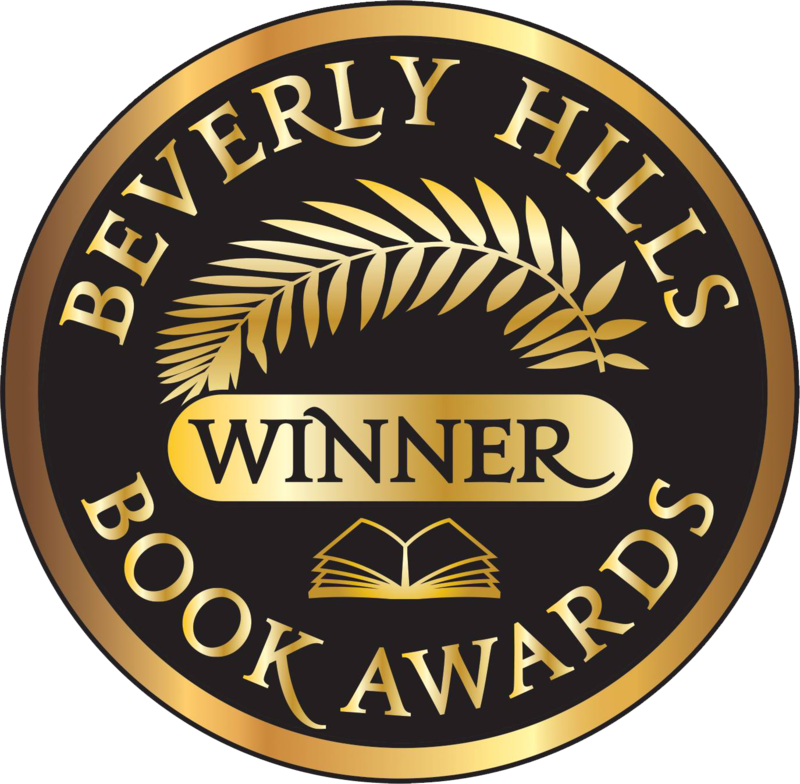 A thought-provoking tale of the journey of a royal palm born on a deserted island surrounded by dark waters. 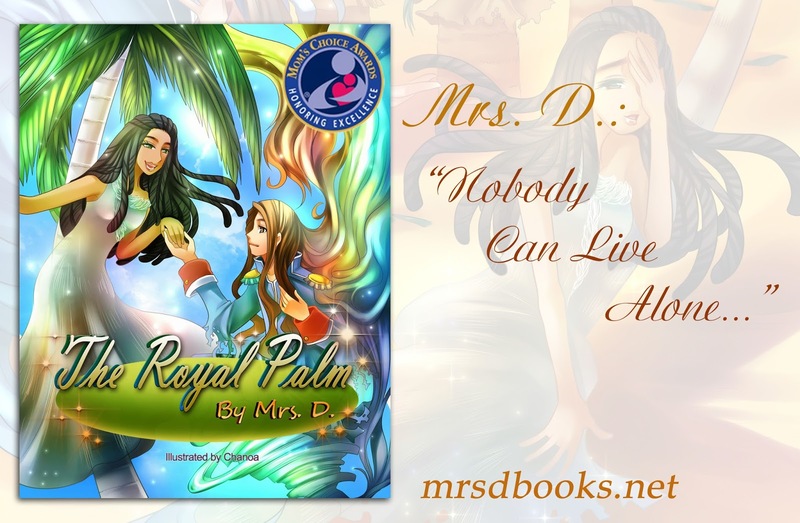 This tender story will explore the world of the royal palm wrapped up in herself. Protected by her cousins, the short plain palms, the Royal Palm grew up beautiful, but very self-centered. 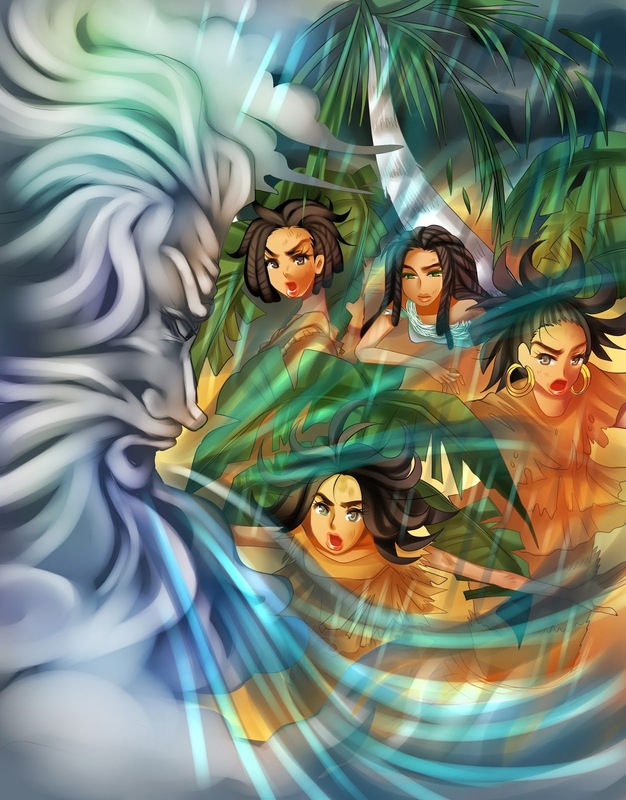 Dreaming about life outside the island, the selfish palm did not bother with her friends, who lived as one big family. Totally immersed in her own beauty, she cared only for herself, until one day a storm struck the tiny island. Then she discovered that nobody can live alone. 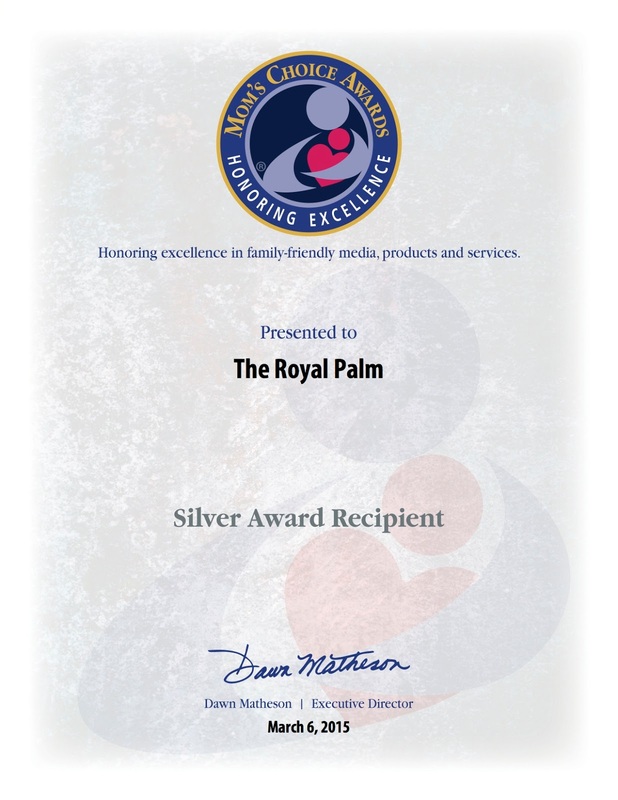 The royal palm learned about courage, friendship and the true meaning of family. Inspiring story with valuable lessons to be learned and shared. Chanoa's talent is apparent in each stroke of her pen. 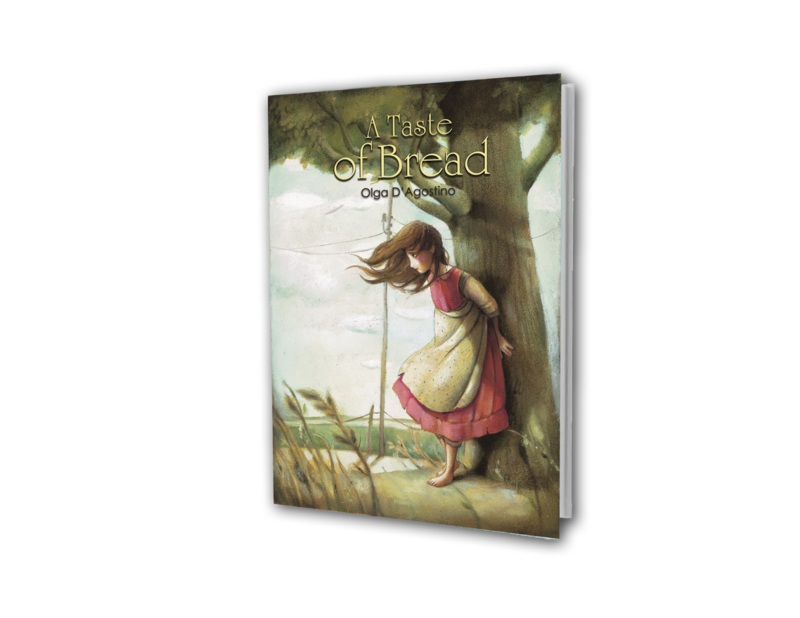 Her characters and illustrations are vibrant and vivid. Her work is soft and light, the soft touch of art mixed with Japanese and Western style. She is an extremely creative and devoted artist. She likes to create adorable mischievous characters in light pastel colors. 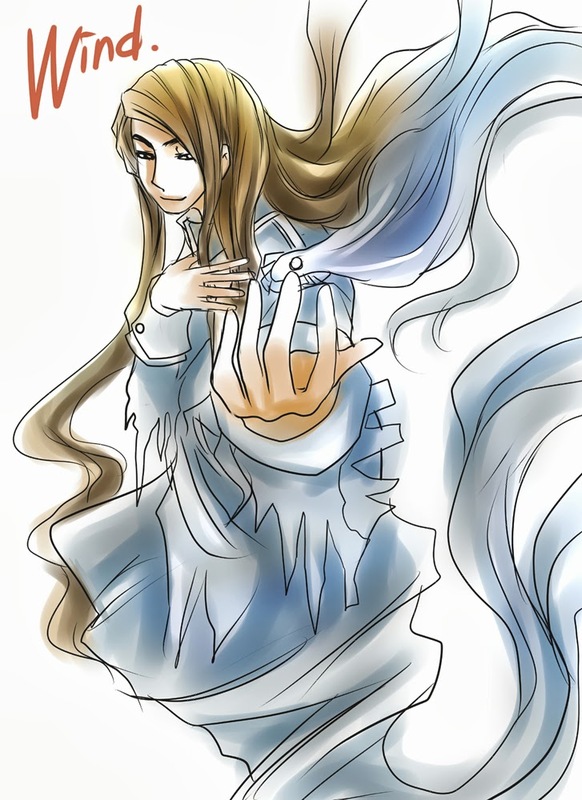 She is also excellent in a realistic style. 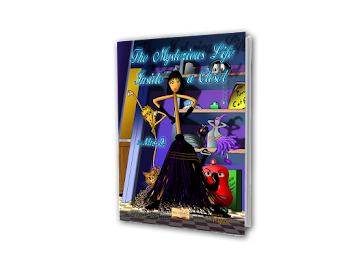 Experienced with both dark and light colors , Chanoa continues to work on my series of books and on Carlo the Mouse. She is an extremely ambitious, creative, and talented young artist. 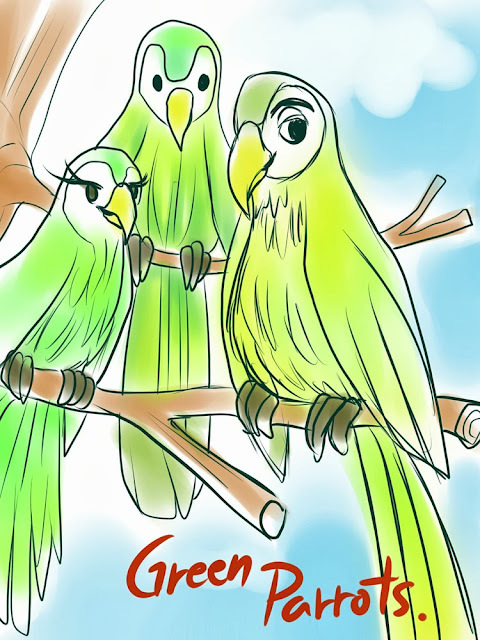 Please visit her website, http://sketchbookinc.jimdo.com/ , which she is still improving. She will impress you with her ​​beautiful and unusual art. 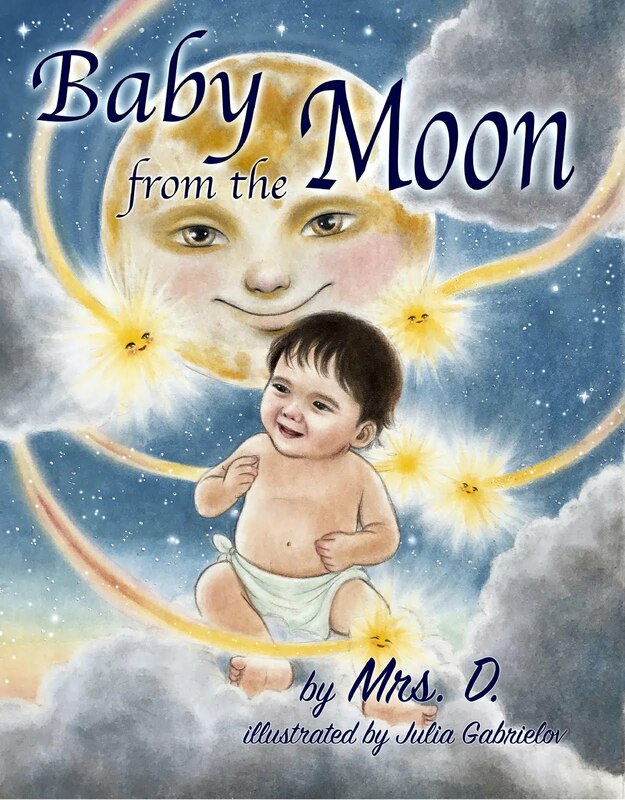 Exciting children's stories await your kids! 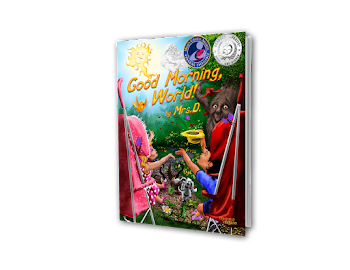 A funny story, full of the adventures and troubles of Carlo the mouse, who lives a simple life in a Florida hospital but always dreams of greater things. In this vibrant picture book, a daring mouse takes center stage in an adventure even bigger than his appetite. Carlo has never been outside the four walls of his home and he has one unfulfilled wish-a vacation. In a twist of fate, he unexpectedly finds himself embarking on his adventures and misadventures by accidentally landing inside an open car trunk, catching the wrong bus, and boarding an airplane that takes him halfway around the world to Paris. 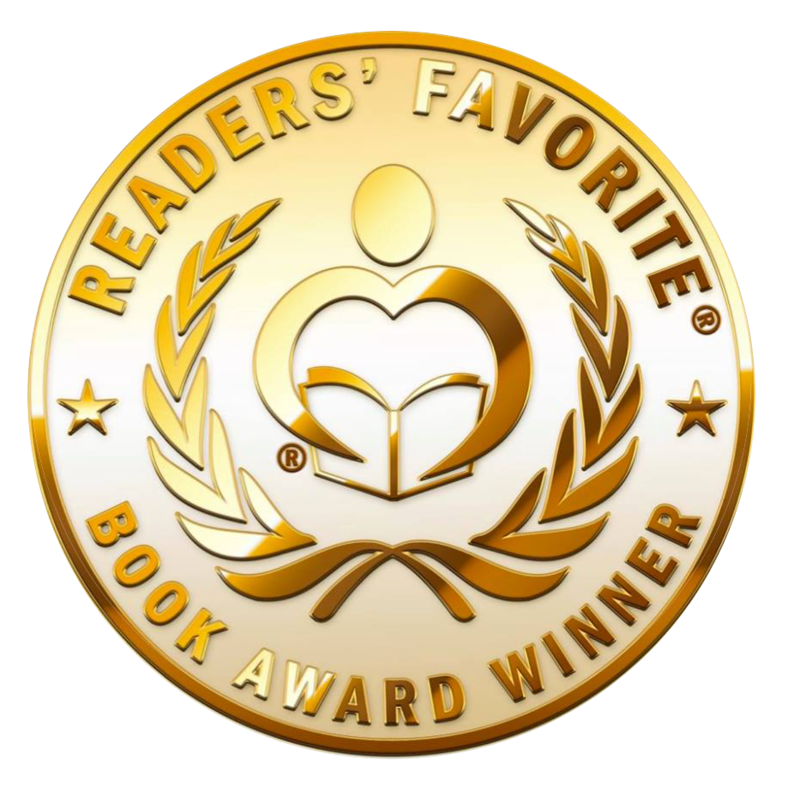 The shrewd Carlo finds a way to survive the most unusual situations while dodging-or causing-mayhem along the way, touching readers' hearts and making them laugh. A Christmas story about sharing and giving. 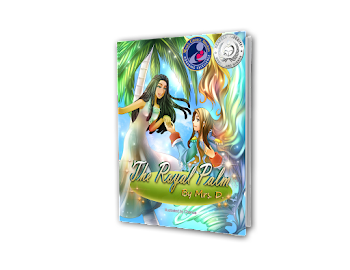 A thought-provoking tale of the journey of a royal palm born on a deserted island surrounded by dark waters. 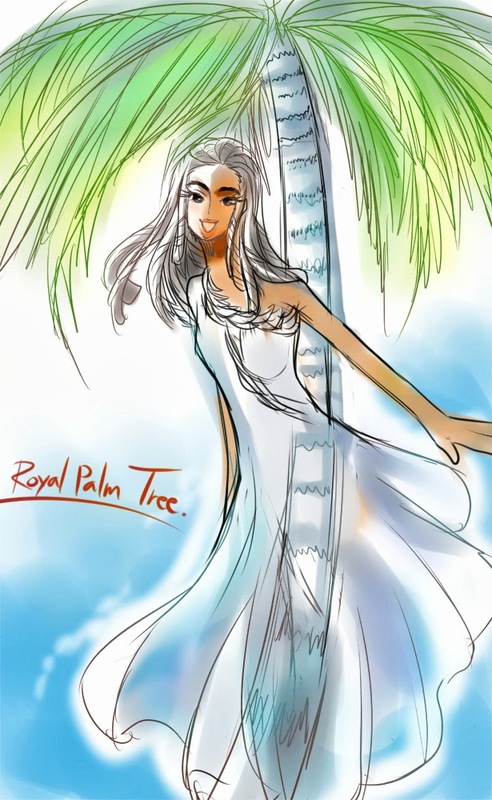 This tender story explores the world of a royal palm wrapped up in herself. 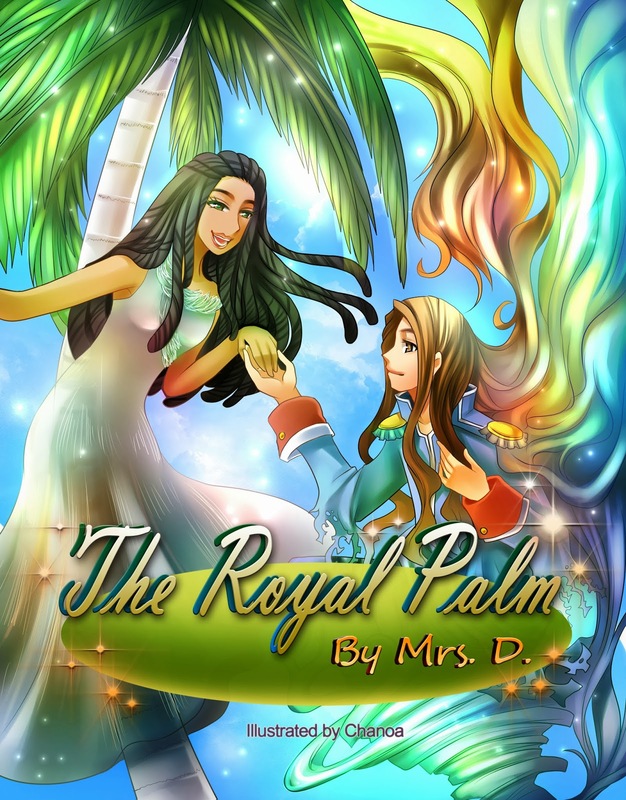 Protected by her cousins, the short, plain palms, the royal palm grew up beautiful, but very self-centered. Dreaming about life outside the island, the selfish palm did not bother with her friends, who lived as one big family. 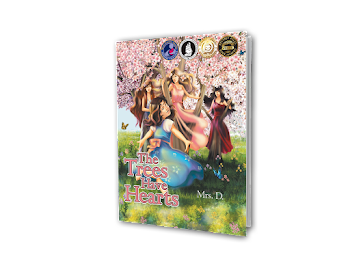 Immersed in her own beauty, she only cared for herself, until one day a storm struck the tiny island. Then she discovered that nobody can live alone. The royal palm learned about courage, friendship, and the true meaning of family. An inspiring story with valuable lessons to be learned and shared. “The Autumn Wind”—A moving story about the powerful wind and the peaceful garden, and how things change quickly when the callous autumn wind unleashes his power. “The Kitten and the Sparrow”—A heartwarming story about friendship between a kitten and a sparrow, and how the little kitten learns about the power of nature. Listen to the news and keep your eyes open, because a curious little mouse has had his wish come true! Now We’re Talking! 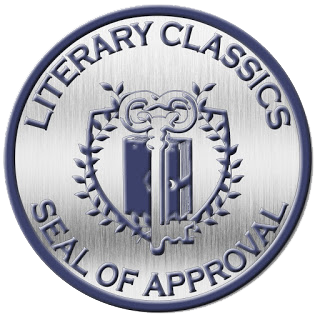 is the second in a series of books on Carlo’s adventures. This nosy little mouse leaves home for the first time to explore life inside the hospital. 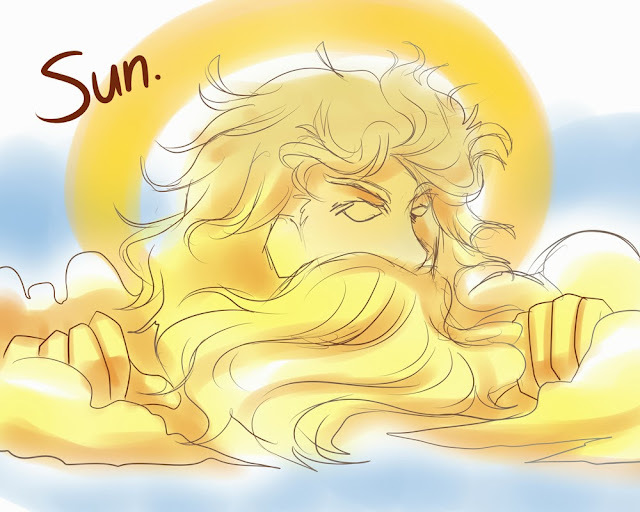 But Hospitalia is a strange place, and there’s no place for him to hide. Cold, sterile, and unfriendly, the hospital looks nothing like Carlo had imagined while sitting at home. Before he knows what’s up, the kitchen staff are on his tail. 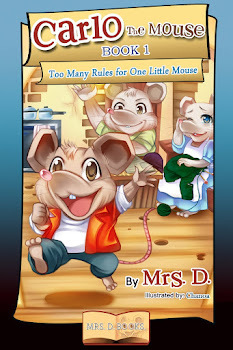 Will the hungry mouse manage to trick the hospital manager, cook, and exterminator without breaking the rules his parents taught him? 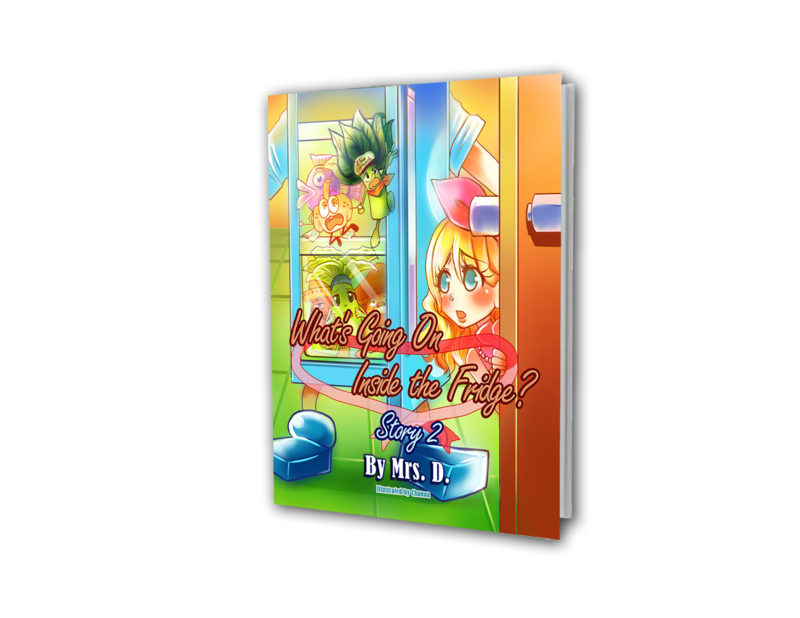 You’ll find out in Mrs. D.’s next book on Carlo the Mouse, What’s Going On? If this clever mouse outwits you, don’t get discouraged. Keep reading and follow Carlo’s adventures! Trouble! Where did that ravenous little mouse come from who's disturbing the peace in the hospital? What's Going On? 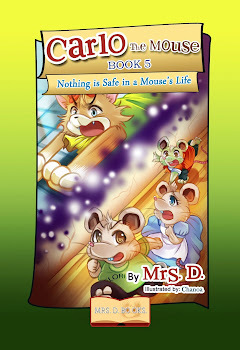 is the third in a series of books on the adventures of Carlo the mouse. Carlo knew he was not supposed to go near the manager's office, but when the kitchen staff were chasing him, he made a choice that started a war. This is only Carlo's first time out, and already everyone is after him. Imagine what could happen when he learns his way around the hospital! He likes to eat, and is growing like a mushroom after the rain. 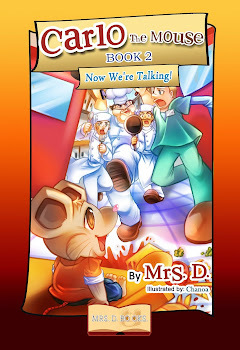 Will this be the end of our curious little mouse, or will Carlo manage to outsmart the clever manager, angry cook, and sneaky exterminator so he can go home safely? 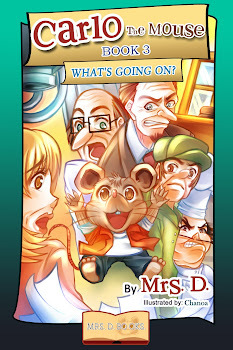 You'll find out in Mrs. D.'s next books on Carlo the mouse. Remember, Hospitalia is a strange place . More trouble for the Most Wanted Mouse! The hospital cook, manager, and exterminator have proclaimed war against the mice of the world! 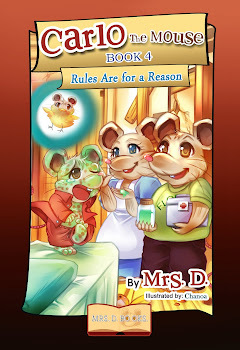 Rules Are for a Reasonis the fourth in a series of books on Carlo the mouse. Always hungry, the curious little mouse snoops underneath each door, driving the hospital staff crazy. He’s constantly breaking the rules his parents taught him. One morning, Carlo wakes up sick. Horrified, he leaps from his bed and looks in the mirror—and finds he looks like a meatball! Fly disease? Mousesclerosis? Chickenpoxsclerosis? Sounds long! What sickness did the carefree mouse catch while exploring the hospital? 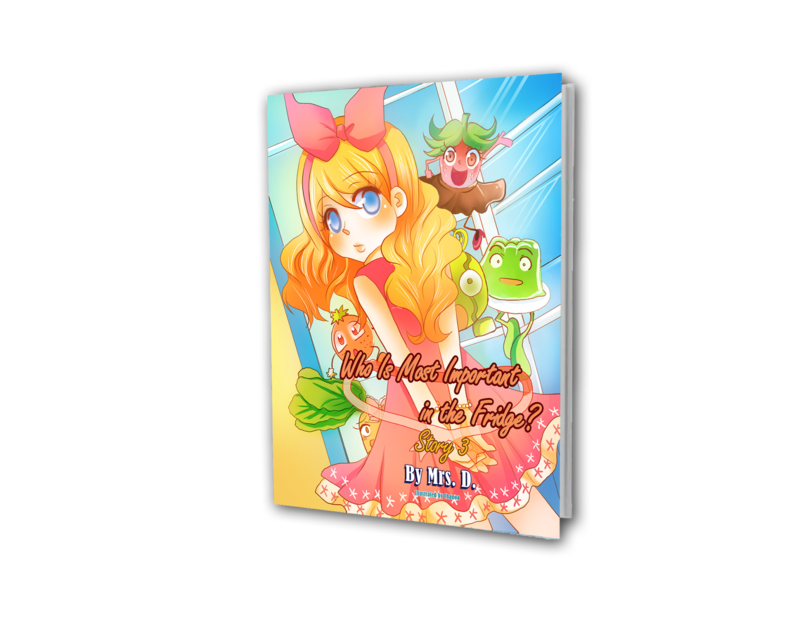 Will Carlo turn into a chicken … or a frog … or maybe a prince? You’ll find out in the next book on Carlo’s adventures: Nothing Is Safe in a Mouse’s Life. 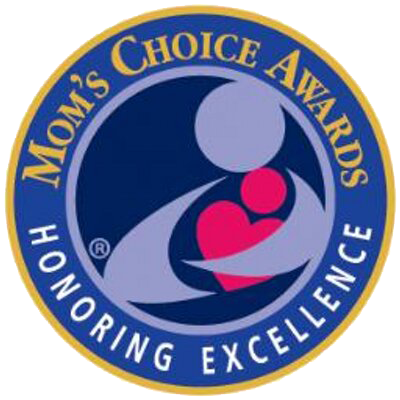 If you want to know if Carlo will learn to follow the rules Papa Mouse and Mama Mouse taught him, you must read every day and follow your parents’ rules. 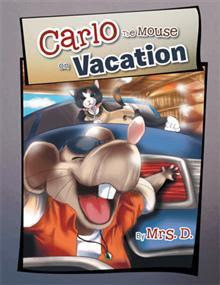 More exciting adventures of Carlo the Mouse await you! 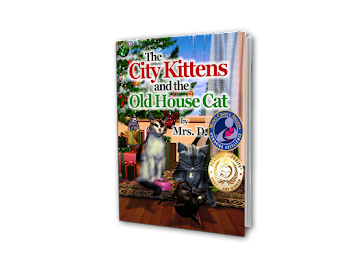 A whisker-licking story of one kind little mouse! Who would ever suspect that Carlo would meet Fidel the cat inside the hospital? Who would ever believe that the tricky young mouse would outsmart the old cat? Who would ever imagine that for the first time in his life, the daring mouse would venture away from his home and find himself outside the hospital? Homeless, cold, and hungry, Carlo and his family face attacks from vicious birds. Throughout his dangerous journey, Carlo finds adventure aplenty. 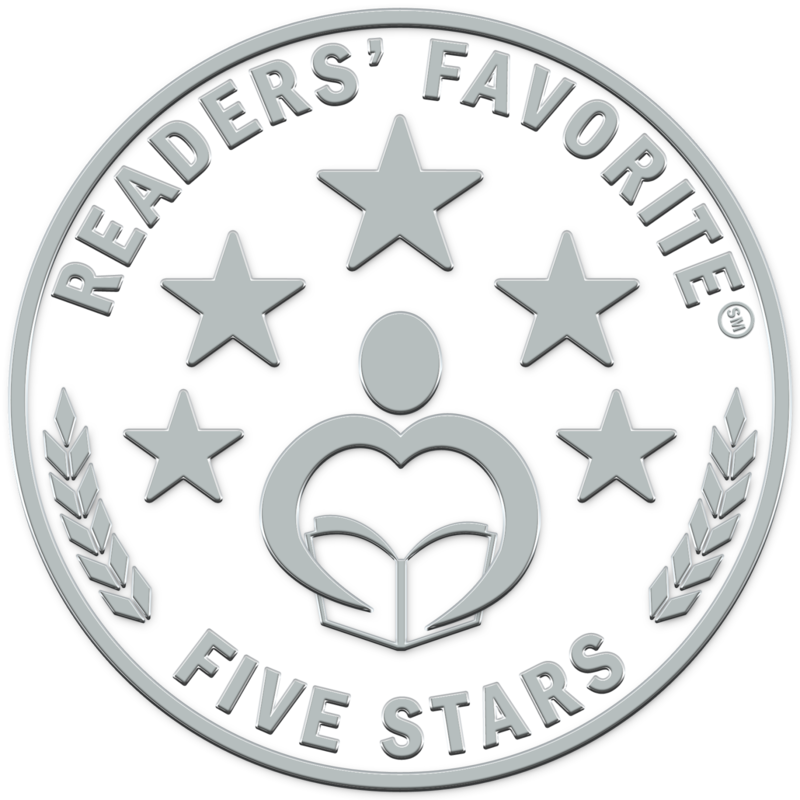 He learns about life outside the hospital and the dangers that mice face on a daily basis. 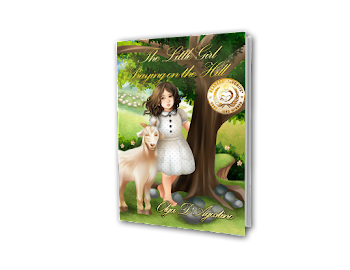 Determined to return home safely, Carlo has grown up and finally understands why he must obey the rules his parents taught him. Follow the unexpected adventures of this bold little mouse! 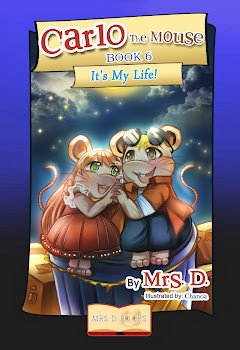 Carlo the Mouse, Book 6: It's my life! Once a mouse falls in love, almost anything can happen! His heart skips a beat! He can't eat, drink, or sleep! He is tossing in bed, losing rest and extra fat! He bleaches his brown hair and becomes a blond mouse! What is going on with Carlo? Papa Mouse is distressed. Is he getting a heart attack? Carlo looks like a bleached punk! Mama Mouse is in shock. Their little mouse has grown up, and he is in love with a cute mouse. He is getting married, dear friends! The young mouse gets his wish. He soon has a pretty wife and a bunch of kids, but he still dreams of seeing the world. Life is short, and a day can hold many adventures. Sliding off a roof, Carlo falls inside an open car trunk . 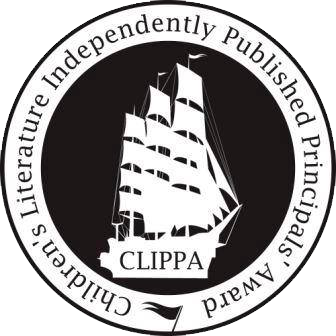 Kick off your boots, hold your hats, and enjoy this book, my little friends. 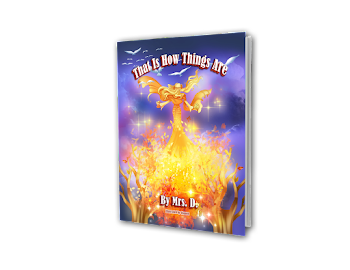 MRS. D. 'S BOOKS - LOOK INSIDE! School has started, which means it's probably time to talk Halloween costumes. Give your little one something to get excited about with These super clever DIY options. The whole family can get in on this one. Full bonus points for grandparents getting in on it, too. Early Mama's handmade Lorax costume even includes a Truffula Tree. Dr. Seuss characters are a staple costume, but would not it be nice to give The Cat In The Hat and the rest this year? This is a guaranteed crowd pleaser for any Mo Willems fan. Designing Mom Jenn's crazy clever Do not Let The Pigeon Drive The Bus! costume . Of course Harry Potter is on the list. Patti Milazzo's tutorial is one of the best DIY versions out there, and it would be easy to adapt for a Hermione or Ron costume, too. She even made ​​the sweater. That's real dedication to your kids, people. If you have two kids to dress up this year (of any age), and Laura Numeroff's series is the talk of your household, then this simple Instructables DIY costume is a winner for even the busiest Families. Library Safari shared this perfect Pete The Cat: Rocking In My School Shoes costume. Who would not love a 4 'tall blue cat with a guitar? No one who loves happiness, that's who. If you have good sewing skills and a love for Those twelve little girls in two straight lines, try Simple Simon & Co. 's gorgeous take on Madeline's classic French schoolgirl outfit. Robert Munsch's awesome feminist princess is such a great go-to costume if you have brown kraft paper lying around. I made ​​my own version when I was a teacher, but this one from Pan's Cosplay is a little sturdier and much, much cuter. You have not really been through parenthood if you can not name everything that gluttonous caterpillar ate through on Saturday. The Craft Nest's cheap and adorable version is just the thing for your very hungry trick or treater. Possibly the easiest costume on this list to create, this one has tons of impact for your Lightning Thief fans. Here, the Jared Johnson Fam fashioned and felt minotaur horn, but you could also add a pen and some cardstock lightning bolts covered in neon paint or glitter. Tomie dePaola's famous version of the "Grandma Witch" with the magic pasta pot could not be easier to transform into a costume. This version from Rafael Concepcion was put together from clothes you probably already have in your closet. Give your little one a pot filled with yarn spaghetti, and you've made ​​the perennial witch costume into something way more interesting. Olivia the pig is a total diva, in the best way possible. It takes a certain kind of sass to pull off a red tutu. If your confident, outgoing, and chatty little girl is a fan, this version from The Train to Crazy might just be the costume for games this year. If Olivia Is not a big deal in your house but Ladybug Girl is, rest assured that you can still see a red tutu in action this Halloween. Add some felt wings and make your own headband like Caitlin's Project Life did , and you're good to go. If you're wondering what to do with that denim jumper that's a little too short for your daughter already (thank you, growth spurts! ), stick on some striped leggings under it and follow Make's tutorial for Pippi braids. Make It & Love It has a simple tutorial for this sweet Peter Pan costume. Easy and made ​​of fleece, so your trick or treater will stay warm well into the night. Thrift store finds were transformed into this Hobbit costume featured on Costume Works , and the result is pretty epic. Alice costumes are popular every year, but taking a cue from Misha Lulu and making a cardboard box into a house takes it to a whole other level. Add a snack cake with "EAT ME" written on it, and you've got Giant Alice. Go big or go home. This mom dyed white thermal underwear, sewed a pillow into the belly, added a few other details, and voilà. Your kid's favorite semi-naked superhero in a (hopefully!) school-appropriate costume. Every year at the school Halloween parade there's that one overachieving mom who shows up the rest of us with gorgeous handmade costumes. Kimball Autumn is totally that mom. And if you take inspiration from her quadruplets' costumes, this year it could be you. I Am Momma Hear Me Roar nailed this How To Train Your Dragon costume. 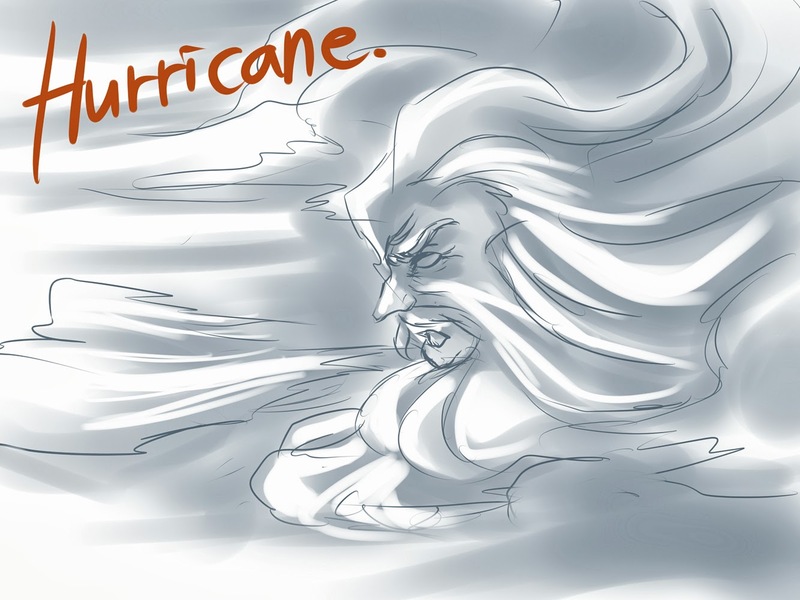 Using fluffy toilet seat covers. Parenting win! And if you have an Astrid fan in the house, Problem of Audience and Purpose has got you covered.